Our selection of exterior shutter hardware gives you even more opportunities to customize your shutter design. You can use shutter hardware for function, decoration, or both! With our wide range of exterior shutter hardware, you have a variety of options to express your style. In addition, you can choose between wrought iron and stainless steel shutter hardware. We also offer historical, European, and whimsical styles, so you can get the look you want by selecting shutter hardware that perfectly matches your home. 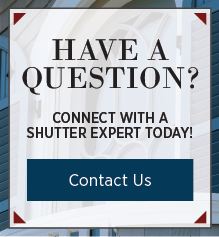 If you can’t find something or need help selecting the right hardware, a Shutter Expert would be happy to assist with your order. Speak with a representative today by calling 800-250-2221!